I can't believe (but admit I could be wrong) that this shop has really secured all of this inventory (over 600 models of saddle) and keeps the majority of it in a warehouse somewhere. Neither one of us know what is up with that. You propose an interesting theory. I have no comment because I have no real-world information. FYI.. the photo of the store was a screenshot from what shows up on Google streetview (which I thought was usually at least somewhat current). That's fine, but look at the shop you showed and look at the pictures of the store's interior they have on the page you linked to? Look at the range of products they list, and look at the size fo the shop you posted. I again, have no actual information. Maybe the photos on the website are from some other shop? I simply do not know, and I am not about to ride out there to see. fwiw.. another photo from the side.. it is pretty good amount of space for a local bike shop. Perhaps @oldnslow2 might have some insights on Brands' means to offer such an online presence; I believe he's mentioned them as his usual go-to shop. Except.. try and find Sora and Tiagra from any online store. Shimano’s distribution system should be illegal. They do everything they can to stifle competition. I can’t see how Campy has lasted as long as they have. I was just there today, stopped by for a "nature break" on my ride. Brands has a HUGE showroom along with 6-7 work stations for assembly and 3-4 for repairs. They also sell fitness equipment. They have a remote warehouse and have an extensive inventory. I can tell you that the "internet" prices are sometimes better than the store and they will honor it if you mention it. They also have a very large Spring and Fall sale. I stock up on chemicals and a few years ago got a $180 winter jacket for $80. Usually I fix my own but on occasion I take it into a shop because I the repair I'm getting is rarely done and may need a speciality tool or two that cost a lot of money, so it's cheaper to have them fix it then to buy the tools. Even though I true my own wheels I don't have truing stand or dish tools, so if I need a pro true then I take it in because truing tools and stands are expensive, but I only have to do that maybe once in the wheels lifetime. A lot of people fix their own bikes, it's been like that since forever, however today's youth are not mechanically inclined like they once were, so LBSs are actually seeing an increase in repairs. Anyway bike shops are not a dying breed, but I will tell you what's about to happen in the next 10 to maybe 15 years. Right now it's the baby boomer generation that's driving sales of bikes, especially expensive bikes, gen x and millennials are not! So once the baby boomers start dying off sales will start to decline by a lot; right now sales are down 10% for 2018 but the cycling industry increased prices on bikes, parts and accessories to offset the lost of sales, so dollar wise it's up 4%, but they can only increase prices so much before people start to complain loudly by closing their wallets, so probably 2019 or 2020 there will be balanced scale and it may stay like that for about 5 years, but sometime around 2024 and 2026 the dollars will also decrease as well because the baby boomers will be hanging up their bikes more and more which means less and less being spent on parts and accessories, and less and less of them are buying bikes. Just my opinion by the way. For a bike shop to stay in business for the long haul they have to start branching out from selling just bikes, they have to find some sports that are popular in the area the store is located and start selling other sports stuff; running, snow sports, water sports, weight training stuff, etc, to keep sales hopping through various seasons. I have a bike shop in town that puts most of their remaining stock of bikes more condensed in the back of the store in the winter months and sell nothing but home gyms in the front of the store, in the spring they reverse it. I know of another shop in Bakersfield Calif that has an excellent marketing program going on, they sell all sorts of other sports and that store is popping all year round, and that store started as just a bicycle only shop, but soon discovered it was too seasonal, plus some years bike sales are slow, so they needed other stuff to keep selling no matter what happens to bikes. For those that live in Bakersfield you know which store I'm talking about, it's owned by Kerry Ryan called Action Sports; I see from visiting their web site I think they reduced some of the sports stuff to put in a Vert Rock Gym and an indoor spin class, and now it looks like they only do bikes and snow sports, and then added the gym stuff. Kerry Ryan is a very intelligent business man as well as a very talented cyclist. Some shops are putting in coffee and or IPA beer bars with club house feel to it, similar to what golf has had for many years, so people can drink, talk to others and buy stuff, the interesting thing about clubhouse type of atomsphere is that as you are talking "shop" to another customer drinking coffee or beer one of you mention you like a certain product a lot and the other person buys it! so clubhouse customers will sell each other on stuff. So a shop is going to have to think outside the box if they're going to stay in business, or at least be more profitable as lean times approach. Coffee is very profitable by the way! Thanks for chiming in. No doubt they have good inventory for a shop, but it's also apparent that they've built in distributor inventory into their online presence. Take a single product like the Spesh Toupe Pro saddle. In the middle 143mm size, it's in stock. Adding either of the other 2 sizes (130 or 155) to cart and going to checkout, tells you that it will ship in 4 days directly(?) from Specialized. You can opt to have shipped to store (free I think) or pay shipping to home. Anyway, it's a nice workaround model for an LBS trying to compete. Thinking about some things I wouldn't probably do myself on my bike -- installing new crank, cabling, headset, BB, who knows.. The online system, allows ability to check stock, order shipped to store if need be, and then following up with a phone call to schedule installation of whatever. No surprises, no disappointments. Note though that to do the online thing to the extent they do, they have to maintain a warehouse separate from the store. They're really running two different retail businesses under the same name, and that must have taken a large investment in order to do both well. When talking about the number one reason our customers go online for an item and the first thing on the list is price followed by availability. If a bike shop stocked every item available to the industry would that be enough to draw local customers in to purchase any item they needed instead of going to the internet? Hmm, not likely as price is the number one concern. I say it is a red herring to argue the "effort" a brick and mortar shore puts forth to have an online presence makes buying from that source that much more likely. If the price ain't right, the customer will go elsewhere. With brick and mortar it is another local shop, with the internet it will be a different low price point competitor, and there are thousands of them all over the world. Think back to Supergo and Arnie Nashbar. Price is king for many, many, many consumers. Price is indeed king, especially in the last 5 years as prices have skyrocketed in cycling stuff; for example I bought a Voler semi clear rain jacket 4 years ago with a regular retail price of $18 I got it for $12, that jacket was a closeout, the following season they put out a new jacket, looked exactly the same except a zipper instead of velcro closure, the new price was $68 (now they've dropped that jacket and gone with one with a longer tail and it cost $108). Also tires. for example, at an LBS are crazy expensive, one Vittoria Rubino Pro G+ at my LBS is $90 I can get it on line for $31! Then a lot of LBS's will carry never heard of brands for pumps etc, stuff you can't find on the internet to find out if the reviews on the product is any good, or they'll carry inferior products like Portland design Works that can't get a road tire past 60psi. I don't care about price if they're close, but I'll be damn if I'm going to pay 2 or 3 times the cost for a product just so I can keep a LBS in business; I live in California, it's expensive to live here, but any fool that knows how to budget isn't going to pay 2 or 3 times more for a product just for fun. Regardless of what the internet, the stats I mentioned in my earlier post shows that LBS's aren't doing bad at all, they still have a commanding lead of the dollar percentage over anyone else. I've been working in the Philippines for a while so I am not on top of it like I used to be, but when I was in the Sacramento area this past January, all the Performance Bicycle shops were having closing sales. Sadly, I suspect the internet stores are killing mom and pop. However, since it's expensive and with logistical issues inherent to island living, it's usually easier to get bikes and cycling gear for local stores. A repair takes as long as it takes. My question remains--why didn't you order the part Wednesday night, get it Thursday, deliver it Friday morning and pick up your bike after work on Friday for your weekend rides? The shop was honest with you? Told you when they could do the job, when they could return the bike? Maybe this shop had never been asked to do that particular job---maybe everyone had either done it at home, or used a different brake system, or whatever. I can assume that if they didn't have the bleed kit, they had never needed it before ... so why would they buy it? After all, the shop Could invest in a giant warehouse and purchase every tool for every particular job and every proprietary manufacturer's standard, and every possible replacement part. The whole idea that the shop Should do the job in a certain amount of time is what's wrong here. You figure that since you could do the job in an evening, so should the shop. See the problem? You Couldn't do the job in an evening because you had other things to do. They had other things to do as well---like keeping their business running. They told you what was involved, you had the choice to take the bike home and make time ... or leave the bike and make them make time. If they had said, "Yeah, pick it up later today," and then said, "Tomorrow,' and had done that a few times ... but that's not how it happened, right? So the whole deal is you want them to work faster for you. They were not convenient to your demands and schedule. Look ... if you don't like the shop, don't go back. Do the work yourself. Funny thing---you would have gotten the brakes bled pretty much Exactly the same time whether they did it or you did it. You saved the cost of the bleed kit and the time and labor. You could have bought the bleed kit and done the work, spending time and energy. Either way, you'd have the bike in riding condition. You sort of walked into a shop and said, "Fix my bike and make it snappy. I expect every bike shop to be ready to meet My needs and My schedule." If the bike shop doesn't meet your standards,. simply don't go there any more. But all this outrage .... makes you sound pretty spoiled. I do photography sometimes. If someone says, "When can I get my pictures," and I have a couple jobs scheduled which will keep me away from the computer, I simply tell the person. If they get mad ... I don't care. They can go to another photographer, or have a friend shoot the shots with a cellphone. I am honest and offer the options. If someone says, "I expect you could shoot, download, sort, and edit my pictures in an hour---I could," but I know I won't have a free couple hours for a few days ... they lose. I tell the folks what's up---they choose. I understand, they want what they want. I also know what i can deliver. If they don't like what i can deliver, no stress. holey long winded batman. !!!. If you own a business , which I do. There is an old saying , THE CUSTOMER IS ALWAYS RIGHT@@@@!!!!!!. translation the customer can bring his money elsewhere...>>>>>>$$$$$ . Frankly if I owned the bike shop I would have ordered the bleeder needed and done it for free for the inconvienance , hoping he will come again or refer another customer. PS. I have been in business, nothing bike related , but all businesses have ONE thing in common CUSTOMERS.. with out them NO business. I have been in business at 25 years of age officially and did side jobs in my teens. I am 57 years old a d learned a thing or two. You do the math . Young laddy... .
Last edited by rossiny; 04-16-19 at 07:47 AM. I think I've said this before, but increasingly the LBS function in selling parts and accessories is the same function convenience stores play in grocery shopping--you use it in a pinch, or when your time is worth the extra money. I buy almost no parts and accessories from my LBS, but I've bought bikes from both of the ones in town, and I have had them serviced there. I see no obligation to overpay for tires and such to "keep them in business" , and I don't think they expect me to. We really aren't the target customers for such overpriced stuff unless we're in the middle of a century and just happen to have a massive blow out a few blocks from the shop. Yep, perhaps not for free but with apologies for the wait and perhaps a discount or break on an accessory. I too operated a small business and whenever I took on a job that needed a special tool I bought it as part of my operating expenses. In a short time I had a lot of tools. The customer was right in the sense that I needed their business so doing my bit to meet their needs was my goal. You can''t always do it but you should try. Not having a basic tool to service the bikes you sell is not trying very hard. Perhaps it is an oversight, but when that happens you recognize that and fix it - not make a customer feel like an after thought. In some ways I am the opposite of some opinions expressed. I buy a lot of small stuff from local stores because they stock it and I like to support them. The disconnect comes when I want something bigger or odder and they can't come close to either service or price. Price isn't always king if the shop works to build relationships but if they don't then there is really nothing to bind the customer to them. Just stopped into a new small home based shop on the weekend in a rural farming town that lies on a roadie circuit. He sells one brand of expense bike but a lot of sundries. Apparently everyone in town needs new tubes because the old ones went flat over the winter! @RossinNY----The customer is Not always right .... in fact, some customers will make unreasonable demands. Anyone who has worked in customer service knows this. Some customers cost more than they ar worth. Also , as in this case .... the "customer" was requesting a service which obviously was not the shop's specialty ... else they would have had the tool. So ... the shop does nto need his business. it has enough cuystomers which buy What That Shop Is Selling, that it can tell a customer "That will take a week" and the customer can choose. If I go to the Chevy dealer and demand a Mustang, the dealer had best go to the Ford dealership and buy one to sell to me .... Right? [QUOTE=Maelochs;20887492]@RossinNY----The customer is Not always right .... in fact, some customers will make unreasonable demands. Anyone who has worked in customer service knows this. Some customers cost more than they ar worth. Last edited by rossiny; 04-16-19 at 01:57 PM. I use to do business with Open Air in Santa Barbara, but when I went back to them about 25 years after leaving there they shut down the big store they had in the old depot building, now they have a smaller store on state street. Yeah, I don't believe for one minute that Bike shops are being destroyed by internet sales, and the stats are proof they are not. Small mom and pop operations have always had a tough time, I knew several that closed before the internet thing even took off because they couldn't afford to stay in business. I love bikes, but I would never go into that business as much as I would love to dream, but I'll just leave it there, in a dream. To be fair, "before the internet thing," cycling was not nearly as popular as it is now. So if small cycling businesses were closing before, it may have been because they didn't have the customer base it has now. I've been racing many disciplines of bikes since the 80s and the number of cyclists on the road has grown exponentially. Campy is not trying to fit every bike on the planet with its components. There are still enough exacting cyclists out there to support them. Greed isn't their business model. Before the internet thing, there were the big box stores that were taking out small retail stores of all sorts, not just bikes. Bikes are no longer Campy's core business. Materials engineering is. Bike parts are a legacy they will continue for some time as long as that line does not hemorrhage too much cash. Agree about Shimano. It has always been that way w/Shimano and is getting worse. This has zero effect on Shimano sales. I have been boycotting them since 1973. It's lonely over here. 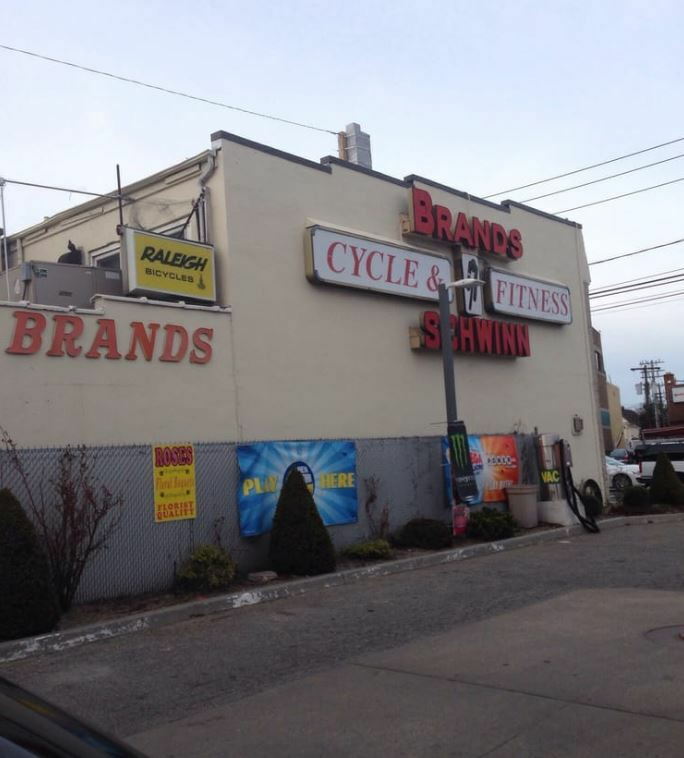 The traditional mom and pop bike shops have gotten squeezed out of the market by direct to consumer brands. Lots and lots of innovative brands are selling direct to consumer now. YT, Fezzari, Canyon, Commencal, Diamondback, Evil, Intense, Guerrilla Gravity, Spot on the mtb side deal primarily with consumers directly. Then there are the many dozens of direct to consumer electric bike brands. These are the two largest segments of the bicycling industry and both sell directly to consumer in increasing numbers. The super low cost of Chinese manufacturing and the universality of internet sales have opened up the market in ways inconceivable a decade or two ago. This is obviously very disruptive to traditional retailing, but the strongest and most innovative will survive. That is, until the inevitable(?) shakeout of smaller companies and consolidation into huge mega corporations. Of course, they will eventually stagnate, leaving room for a new round of small upstarts who are innovative and imaginative.